CANCELED For reasons that are tied to (insert my opinion here) a businesses hate and distrust of the Second Amendment or the word GUN. 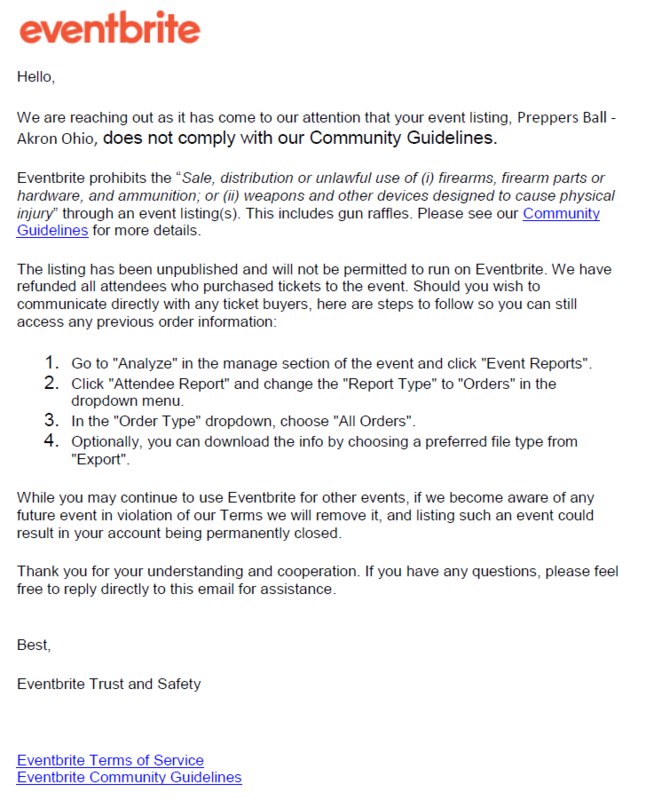 We are sorry to say that Eventbrite sent us the following email. We were mid planning, mid ticket sales, stocked up on product and now are forced to cancel our LARGEST FUND RAISER OF THE YEAR. Based on their canceling and refunding the tickets that were sold – we do not feel that we have time to recover from this for the year 2019. For all of you who have come, have supported us in years past. We apologize and will miss your faces. Stay tuned to the Radio Show – EyeOnTheTargetRadio and we will let you know what else we are doing and what the plans are to regroup from this.